Today I start in Prestatyn on the seafront at the start or finish of the Offa’s Dyke long distance walk which goes from Prestatyn to Chepstow. I did not see anyone setting off on the walk, maybe it was too cold and blustery. I quite enjoy the walk along the beach at Prestatyn and out towards the lighthouse at the Point of Ayr. This seems to be a popular walk particarly for people stopping at the nearby Presthaven Sands Holiday Park. When the tide is out the beach is vast and sits at the mouth of the River Dee. 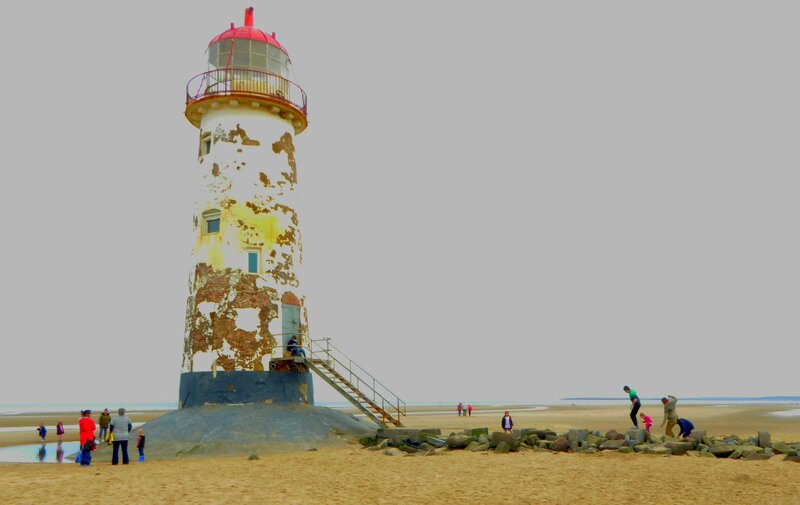 The estuary beach and sand dunes at Talacre is home to a RSPB nature reserve and also designated as a Special Area of Scientific Interest. 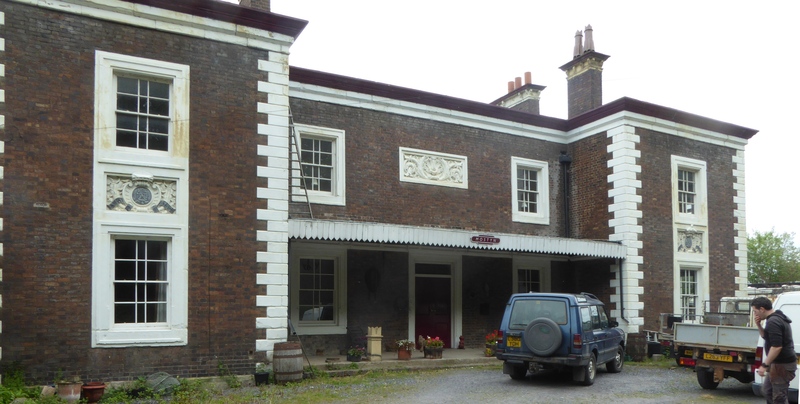 As I walk down the road through Mostyn I notice the old railway station building. Although the main line still runs through the station between Chester and Holyhead, the station closed in the 60’s. The station building now looks like a commercial builders yard. Mostyn also has a harbour and once upon a time had ferries that went to Dublin. The strangest sight I saw was this huge boat stuck in a fairly small quay just south of Mostyn. In fact it was an old Sealink ferry called the HMS Lancaster. 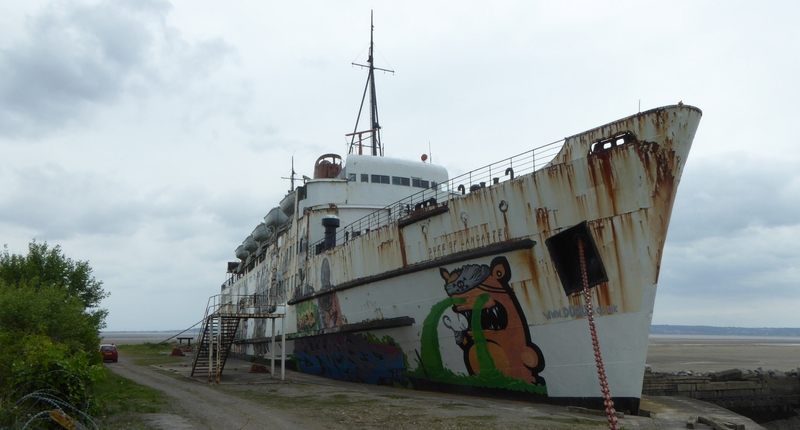 The owner intended turning it into a floating leisure and retail complex but due to legal disputes with the local council it never came to anything. Now it seems to be a blank canvas for graffiti artists, some of which are quite interesting. This entry was posted in Denbighshire, Flintshire, Wales and tagged Coastal Walking, HMS Lancaster, Offa's Dyke Walk, Walking. Bookmark the permalink.